OKLAHOMA CITY – With renovations well underway at the USA Softball Hall of Fame Complex – OGE Energy Field – INTEGRIS Field, USA Softball has unveiled the 2019 schedule of events to be held at the Softball Capital of the World®. With three events held from May-June, including the 2019 Big 12 Conference Softball Championship, NCAA Women’s College World Series (WCWS) and USA Softball All–American Games, the USA Softball Complex will open its gates for a brief time before closing down for the final phase of renovations. Renovations to the historic facility are made possible following the 2017 Proposition 5 Bond package that was approved by the citizens of Oklahoma City in September of 2017. These renovations, which are expected to be complete by the 2020 NCAA WCWS, will give the facility a modernized look with upgraded features for both the fan experience and media coverage. Returning to the USA Softball Hall of Fame Complex is the Big 12 Conference Softball Championship, which will be held May 10-11. For the 29th year, USA Softball will serve as the host facility for the NCAA WCWS May 30-June 4/5, which features the top eight teams in Division I softball competing for the National Championship title. Tickets are now available online for the NCAA WCWS and can be purchased by visiting https://www.ncaa.com/tickets/softball/d1 or by calling the NCAA at 800-591-9198. 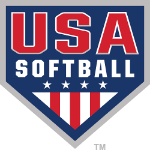 The USA Softball All-American Games, a prestigious tournament intended to provide national exposure to elite athletes in the 12-Under Junior Olympic (JO) fast pitch division also returns for the third-straight year. Region 5 Blue claimed the 2018 All-American Games title after edging out Region 2’s Blue roster, while 2017 featured a Region 5 showdown where the Region 5 Red squad finished atop the podium. Information on regional tryouts, selection processes and additional information can be found at www.usasoftballallamericangames.com. Phase III of renovations at the USA Softball Hall of Fame Complex began in July of 2018, which includes demolition of the outer entrance to the facility and press box. Visitors to the Big 12 Conference Softball Championship will get a glimpse of the renovation progress, which is expected to pause prior to the start of the 2019 NCAA WCWS. Key features of Phase III include an all new press box and game day operations center, which will include ticket windows and entrances to the facility. A broadcast booth, upgrades to existing technology infrastructure, elevators, meeting rooms and media work areas are also expected to be completed. Following the 2019 USA Softball All-American Games, the facility will once again close it’s gates for the final phase of renovations, which addresses the seating capacity. Upper-deck seating will increase the capacity by an additional 4,000 seats while new restrooms and suites will enhance the fan experience. Fans can follow along with the renovation progress with a free live stream through USASoftball.com. For more information on the USA Softball Hall of Fame Complex, including the history and job opportunities, visit USASoftball.com. USA Softball Hall of Fame Stadium – OGE Energy Field serves as the home to the NCAA Women’s College World Series (WCWS). For the 29th year, the top eight college teams in the nation will head to Oklahoma City and compete for a national championship. Last year, over 70,000 fans attended the WCWS. Be there with softball fans from across the country May 30-June 4/5 in Oklahoma City. Tickets for the 2019 NCAA WCWS are on sale now, click here to purchase your tickets and secure your championship experience!